Volunteer in Style & Comfort! 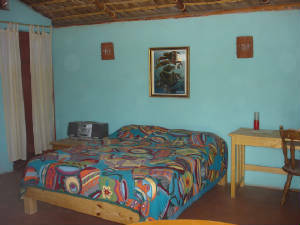 Each Eco-Casita is furnished with a queensize bed, free wi-fi, and private bathroom with hot water. There is a large semi-outdoor kitchen, and yes, linens and bath towels are provided. The Casitas are located at the southern end of our patrol, just a few blocks to centro and local markets. 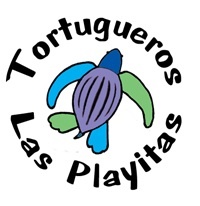 Its a short walk to Playa La Poza for incredible sunsets where Whale Watching is spectacular December-March! 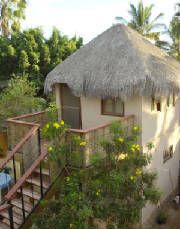 La Golfinita: This cozy casita accommodates 1-2 people with Queen-size bed, and ocean view balcony. 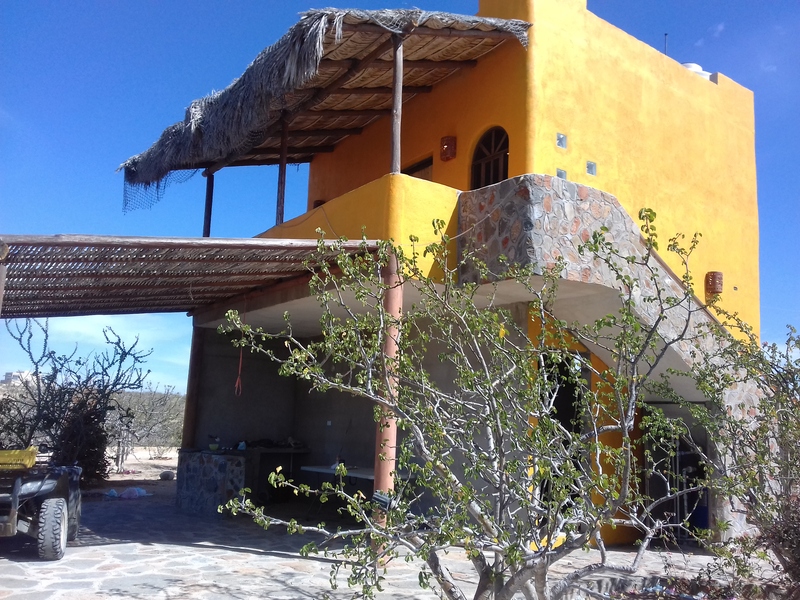 This Casita is two stories with bedroom on the second floor and bathroom at ground level. There is a large outdoor kitchen shared with the other casitas, wi-fi, and the shower has great hot water pressure! 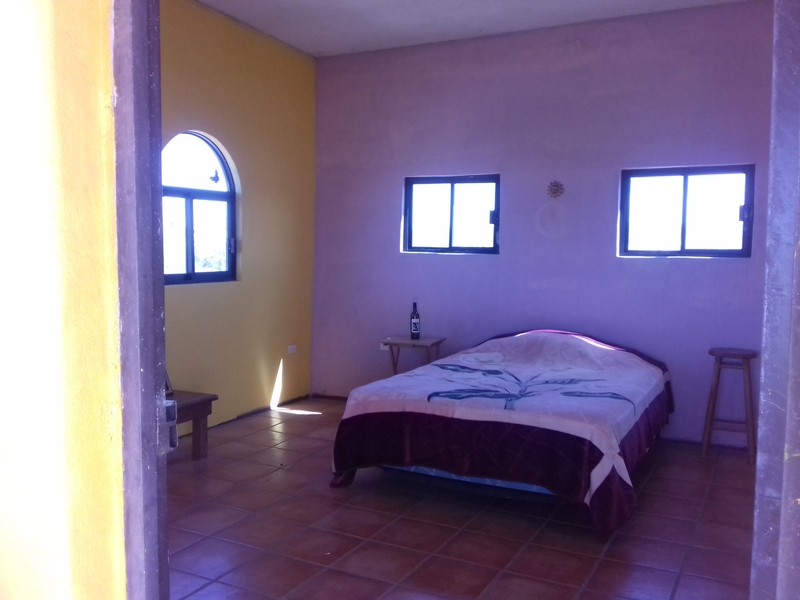 La Prieta : This cozy casita accommodates 1-2 people with Queen-size bed (a crib or toddler bed can be added) There are no stairs to worry about, and the bathroom is attached to the bedroom. There is a large outdoor kitchen shared with the other casitas, wi-fi, and yes, there is hot water!. This beautiful suite accommodates 2-4 people with two Queen size beds. There is a large ocean view balcony perfect for yoga, reading or relaxing. 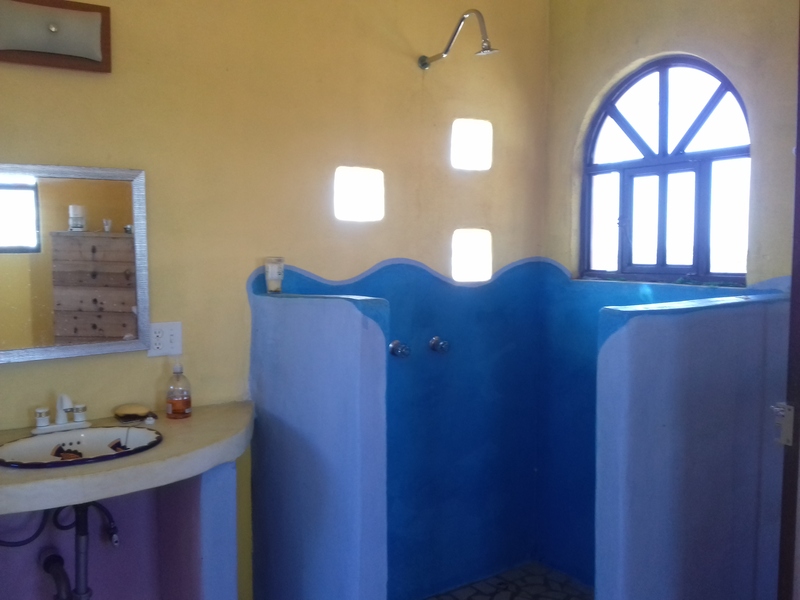 Other furnishings include free wi-fi, and large bathroom with bathtub, hairdryer and ocean view from the shower! There is a large shared kitchen below, but this unit also has a kitchenette on the balcony with minifridge. Downtown is about a ten minute walk and there are markets and Restaurants just two blocks away! This suite is perfect for small families, or two friends who don't want to share a bed. 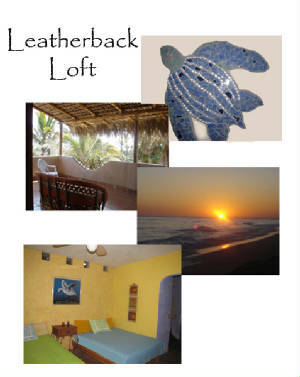 In the case the Leatherback Loft is to occupied by just two people, the rate is $300/per person for one week. For triple or quadruple occupancy the rate is $200/per person for one week. All Volunteers receive three free nights with a week reservation. Please fill out the Volunteer Registration form below. After submitting the form you will be taken to a page to reserve your casita. 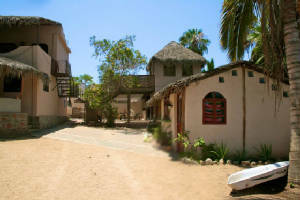 Mango Casita is the closest casita to Turtle Camp, and has beautiful ocean and mountain views. Its 1/2 mile walk to the beach!!! This is the place to be if you want to do night patrols October - December because it is the starting and ending point of the patrols. Its is furnished with a queen bed and double sofa bed (sleeps 4). There is an ocean view balcony, outdoor firepit, outdoor kitchen and bbq area, lots of friendly dogs and your hosts live next door.